Home » New Sushi Ingredients?! That moment when you’re scouring the menu for the three maybe four if you are lucky, vegetable sushi rolls. We recently ordered takeout from Tokyo Seoul here in Pullman and I was having one of those moments when I looked at their menu. My eyes didn’t immediately spot the standard avocado, mixed vegetable, or cucumber rolls we are used to expecting. I did find them eventually. But I also found these two rolls: Futo Makkil and Fresh Vegetable Roll. 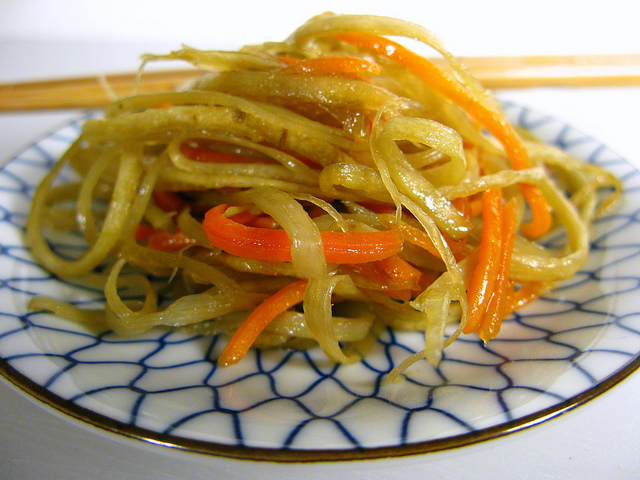 The Futo Makkil contains pickled radish, cucumber, carrot, gobo, and spinach. 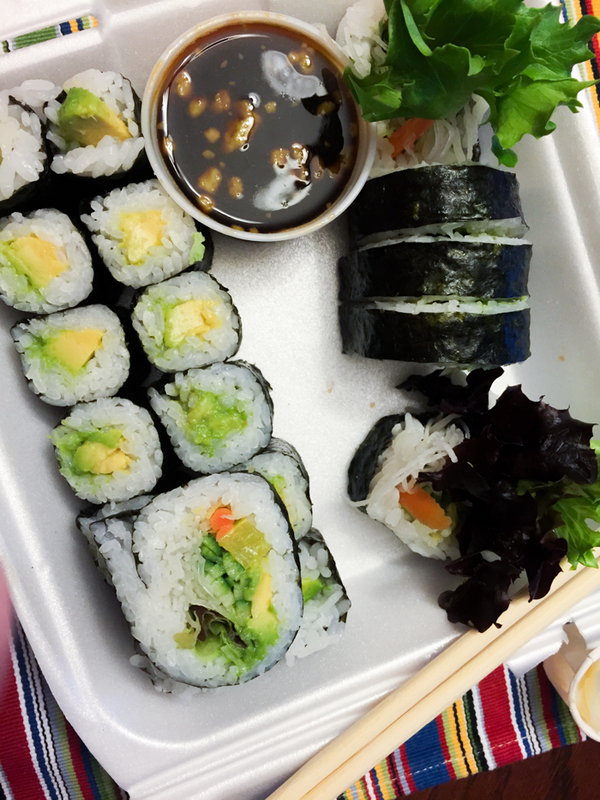 While the Fresh Vegetable Roll offers avocado, cucumber, yamagobo, kaiware, lettuce, radish, and pickled radish. If you’re like me you maybe haven’t heard of gobo, yamagobo, or even kaiware. What are they? Are they vegan? 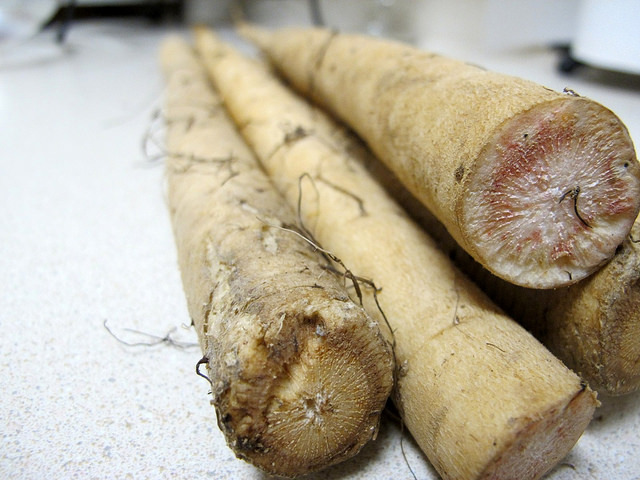 Gobo is a fancy name for burdock root aka arctium. It’s crispy, sweet, and earthy as root vegetables are. Its creamy tan skin reminds me of parsnip or daikon radish. 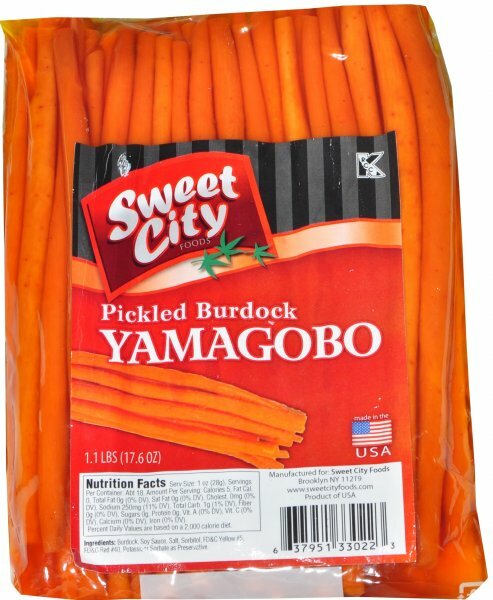 Yamagobo on the other hand is just burdock root that has been pickled. Thanks to all the food coloring they now look like carrots. Hmm. Doesn’t this plate look delectable? 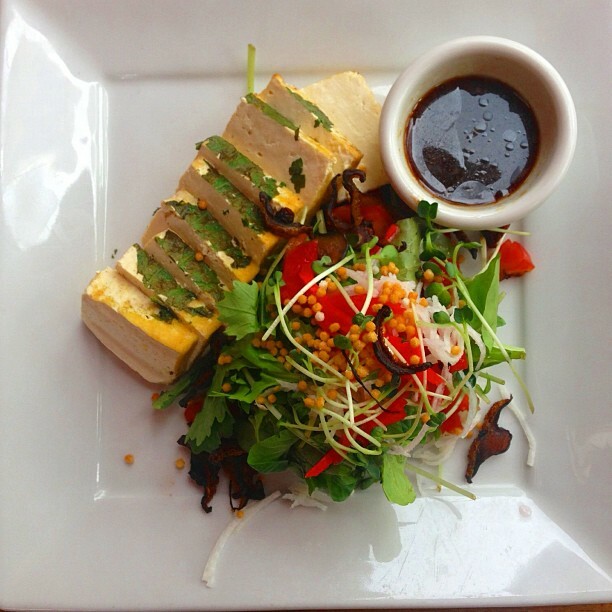 I can just taste the tofu. But we want to know about kaiware. Kaiware are simply daikon radish sprouts! Pretty cool, right? Yep, they all turned out to be vegetables aka safe to eat. What interesting vegetables have been in your sushi?